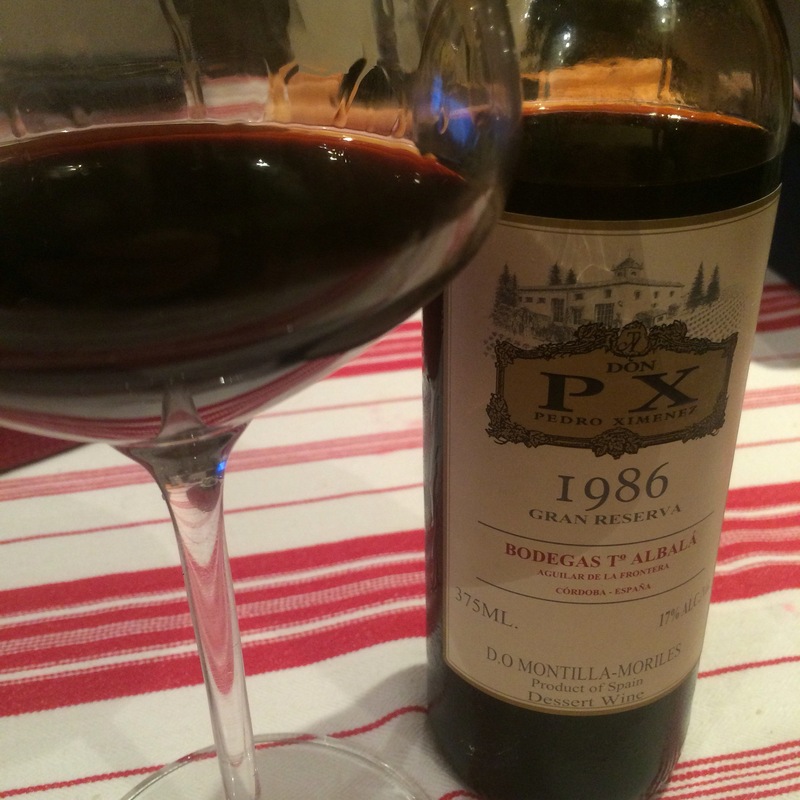 By Toro Albala, the top men when it comes to PX, and a vintage too. Has a cracking Ficha. Anyway, this is late night material. Dark black brown, gloopy, nose of black raisins and spices. On the palate it is sweet and concentrated, grapey raisins. Concentrated raisin – lightly spicey, sugary. It is a full flavour alright. Still juicy raisins though, california raisins from a little red box. Luxurious and not OTT – really good.